A leading publisher called on us to name and brand their new political intelligence platform for advocacy professionals. They wanted a name and logo that would garner trust and communicate the power of its online coalition builder. 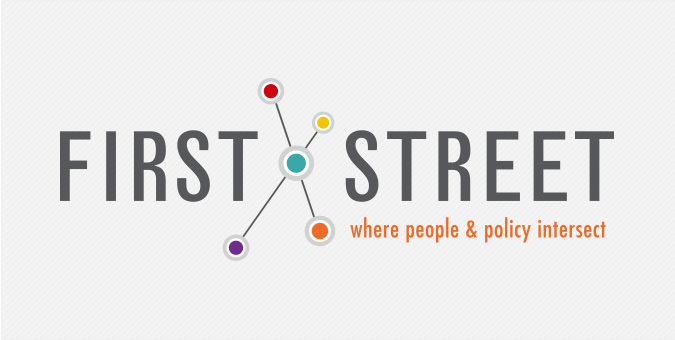 The U.S. Capitol address inspired the name and brand mark for First Street, an online directory where “people and policy intersect.” It was the touchstone for a distinctive family of marketing pieces, including a modular sales kit and direct mail series. With a leg up from the Jake Group’s design and marketing expertise, First Street quickly emerged as a primary go-to resource for inside information on lobbyists, politicians, and other power players in the nation’s capital.